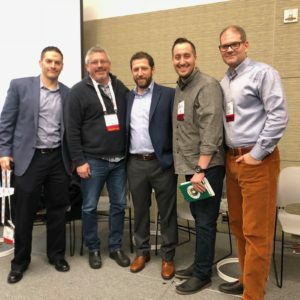 Chefs Collaborative is proud to have presented a panel on using lesser-known species at the Seafood Expo North America! There are amazing & delicious lesser-known species available to us now that are a more sustainable choice than the species on most menus. Chefs, in partnership with suppliers/distributors, can truly drive industry change by introducing diners to these species. By changing menus, we can increase demand for and consumption of seafood (notably American seafood) while supporting healthy fisheries at the same time.